There is a need for developing a living tissue-engineered whole heart for transplantation. One solution is to create acellular myocardial tissue scaffolds and seed them with autologous cells for full reconstitution. Our goal was to reconstitute the endocardial layer of both ventricular cavities and the septum surfaces of decellularized hearts. Whole rabbit hearts were decellularized using a biventricular perfusion system. We designed a rotational support system for the scaffolds and seeded the two cardiac cavities with human fibroblasts, collagen hydrogels, fibrin hydrogel, and human endothelial cells in a layer-by-layer fashion. Afterwards, the scaffold was subjected to in vitro conditioning in a purpose-designed bioreactor. Results showed that hydrogels infused onto most surfaces and pores of the scaffold. Seeded cells effectively adhered to many areas of the two ventricles while remaining active by secreting new matrix proteins. These results indicate that layer-by-layer deposition can aid in the reconstitution of the cardiac endocardium. There is a need for developing a living whole heart for transplantation. In this study, we developed a perfusion system to remove all cells from rabbit hearts, while leaving the connective tissue collagen fibers intact. We then developed a rotational bioreactor system to seed the hearts with human cells in a layer-by-layer fashion by suspending human fibroblasts and endothelial cells in fibrin and collagen gels as carriers. Using these systems, we successfully reconstituted an important internal layer of the heart, the endocardium, lining the cavities of the heart, with most cells remaining alive and active. The authors wish to thank Godly-Snell Research Center for providing rabbit hearts used in preliminary studies pertaining to this data. They would also like to acknowledge Advanced Materials and Research Laboratory for providing training and access to their scanning electron microscopes. This project was funded by the Harriet and Jerry Dempsey Bioengineering Professorship Award (to D.S.). 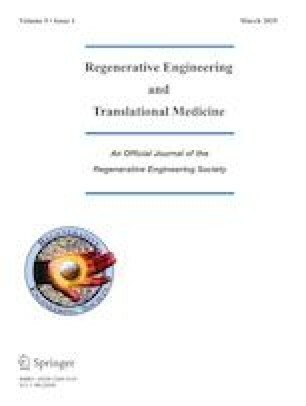 Future studies will be geared towards improvements in seeding efficacy, long-term conditioning in the bioreactor, and assessment of biological functionality of the newly reconstituted endocardium. Using this system, we will also perfuse endothelial cells through the scaffold to reconstitute the coronary vasculature. Transplant Trends. https://www.unos.org/data/transplant-trends/. Accessed 15 Dec 2017. Robertson MJ, Dries-Devlin JL, Kren SM, Burchfield JS, Taylor DA. Optimizing recellularization of whole decellularized heart extracellular matrix. PLoS One. 2014;9. https://doi.org/10.1371/journal.pone.0090406. Weymann A, Patil NP, Sabashnikov A, Jungebluth P, Korkmaz S, Li S, et al. Bioartificial heart: a human-sized porcine model - the way ahead. PLoS One. 2014;9. https://doi.org/10.1371/journal.pone.0111591. Carvalho J, de CPH, Gomes DA, Goes AM. Characterization of decellularized heart matrices as biomaterials for regular and whole organ tissue engineering and initial in-vitro recellularization with ips cells. J Tissue Sci Eng. 2012;11. https://doi.org/10.4172/2157-7552.S11-002.Characterization.